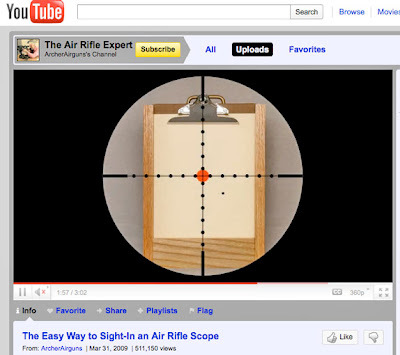 Amazingly, the video I posted on YouTube a couple of years ago describing a simple method of sighting-in an air rifle scope has long been the most popular scope sighting video on YouTube. But now, it's gone even better as there have been over half a million views of this video - actually over 510,000 views - since it was made! I'm delighted to have helped so many people who obviously have had an issue with sighting-in their scope - as you can read in the "Comments" posted on the video page. 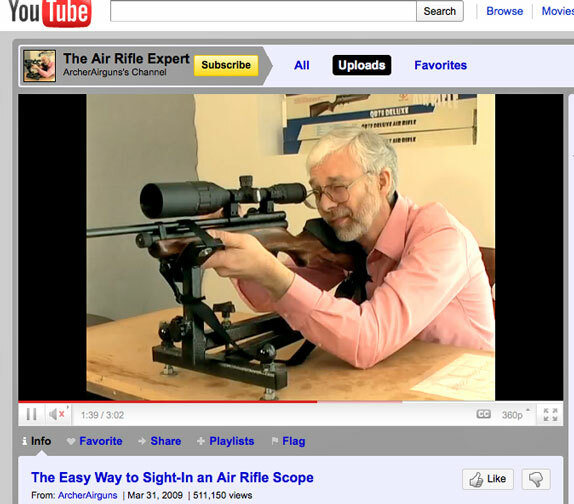 The video features a prototype CAR78a carbine (now available again, incidentally, after a break), together with a Leapers 3-9 x 50AO scope. One element of the video that seems to have caught people's attention is the "through the scope" views that show exactly what you see when making the elevation and windage corrections. Thanks to all who have viewed this video and thanks to all for your supportive comments on YouTube.